The Bible narrative retold in easily understood language with many helpful notes and suggestions on how to teach the material. Each book in the Lamp to My Feet series can stand alone as a study help for a particular period of Bible history or can be used in sequence for a careful survey study of the whole Bible/ High School or Adult level of study. Historical, geographical, archaeological, and cultural information is included for extended learning. 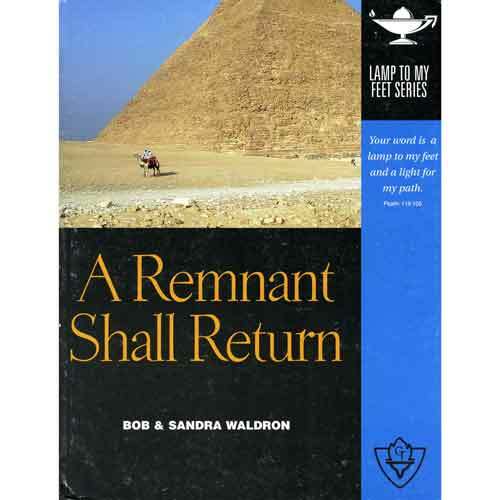 A Remnant Shall Return covers the captivity and the return from the captivity and includes sections on Ezekiel, Daniel's dreams and visions, and Zechariah. With appendix and bibliography.